What Are the Electrical Specifications for a Dyson DC25 Vacuum Cleaner? The DC25 is the Dyson Company's all-floor cleaner. The DC25 has two versions: an all-purpose vacuum and an animal vacuum. Both machines have similar operation procedures and the same electrical specifications. The Dyson DC25 operates at 120 volts. The motor has 11 amps of power through the root cyclone system that Dyson reports will not lose suction. 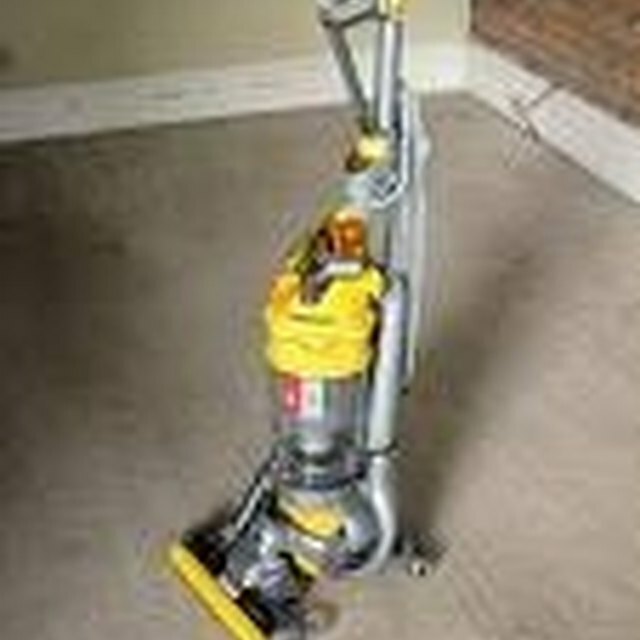 The DC15 includes a 246-foot cord that allows you to clean large rooms without having to stop to replug the vacuum. The Dyson digital motor is smaller, has fewer parts and is cleaner and more power efficient than other conventional motors. Conventional motors use many moving parts that, if they break, can cause the entire motor to stop working. The digital motor spins 104,000 times per minute to generate power for the vacuum. The motor also does not contain any carbon brushes. Thus, the vacuum will not spread black carbon dust as it works. The Dyson vacuum employs Airmuscle Technology to make an efficient machine. This technology focuses on eliminating the waste of suction by designing a cleaner head that is flush with the floor, which also makes the machine easier to push because the head does not push into the carpet and cause extra friction. The air muscle technology also focuses on delivering a lot of power to the brush bar so that it can brush through even very high pile carpet enough to remove excess dirt. The DC25, and all Dyson machines, operate with ball technology, which means that instead of having wheels, the machine has one single ball that allows the machine to turn on a dime. The user does not need to make a three-point turn to move the machine in the opposite direction. The ball also has the motor inside of it, which gives the machine a lower center of gravity and makes it easier to push.